Congratulations Nanette! I think of you often and wish you the best! I will keep you in my prayers for a great recovery! Take care! Soooo sweet. Thanks for showing us. Here's to a speedy recovery! Take care Nanette. Beautiful quilt! You take care, I have missed you! YAY!!!! You're back!!! Congratulations on the new baby - how exciting!!! The little baby quilt is adorable - what a lucky little girl! I'm here for a few days and I REALLY want to get together! Early next week maybe??? I really love how it turned out! The scallop really is perfect for the quilt. 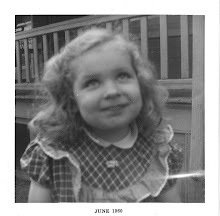 Speaking of perfect BABY CLAIRE. Don't get me started on that cat too, hilarious. i miss you terribly. take care. come back. we love you. Congratulations! she is adorable and so is the quilt. Congratulations on your new granddaughter! 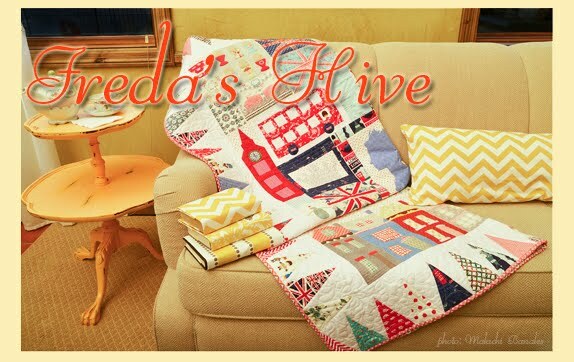 Her quilt is very sweet, and very you:). Grandma's love sent from far away! Miss your posts and adventures, hope you're able to return to regular programming soon--all kidding aside, be well! Congratulations! Another grandbaby is a blessing. No worries about being gone from blog land. I took a few years off. Just getting back into it. Missed blogging. and I was trying to figure out who made it. It looks like lecien/flower sugar to me, but then I could see other options too. You wouldn't happen to remember, would you? Thank you! 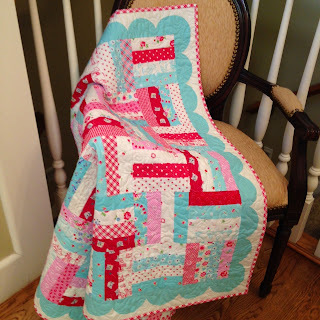 Nanette - Not long ago I saw on facebook a little blurb "I quilt so I don't kill people". Glad to see that a new grandchild has you back at the sewing machine.. Congratulations. It is so good to see you in blog land Nanette. Congratulations on your new granddaughter. She is gorgeous. 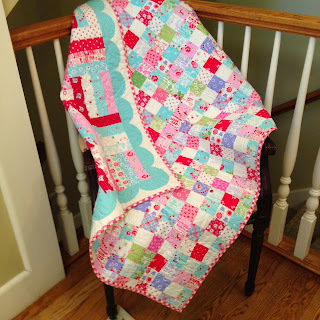 Her quilt turned out beautifully. Love, love the red and aqua together and all the fabrics. Hope you get to feeling better soon. Congratulations, Nanette! Baby's quilt is so pretty and soft! 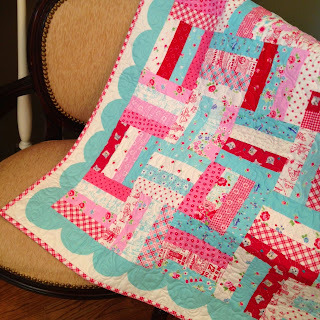 Love the scallop border! 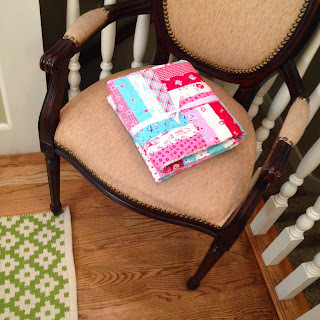 Miss your cheerful quilts and blog posts. Take care, Nanette! Claire and the quilt are so beautiful. Hope your surgery goes well. 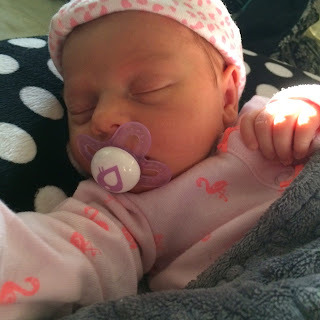 Congratulations on your adorable new Grand daughter Nanette! What a cute picture of her and silly kitty. Wishing you a very speedy recovery after your surgery, I look forward to more fun posts from you!